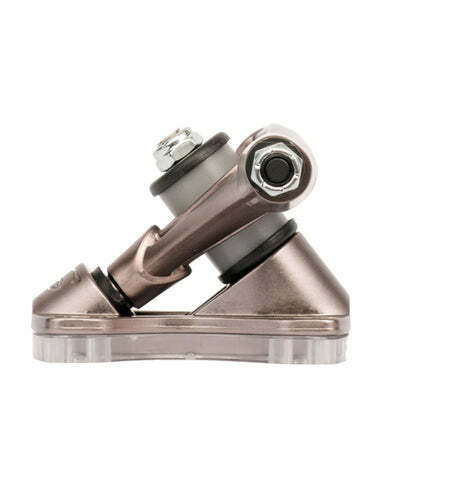 The world’s first fully forged longboard truck is back – stronger and stiffer than ever! Extensive testing in software, in workshop, and two race seasons of skating has lead to the MK2 version of our pioneering forged truck design. 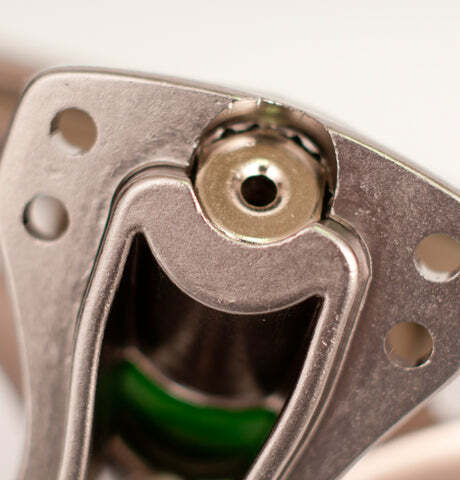 The hanger is 90% stiffer than Mk1 for better response and higher strength, and a redesigned pivot for a smoother turn. 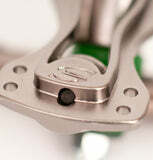 With a small amount of rake, the hangers can be flipped for and even lower centre of gravity. We have also updated the baseplate and kingpin to a precision press-fit design rather than a spline, lengthened the kingpin and redesigned the baseplate/kingpin interface to more than double the kingpin support. 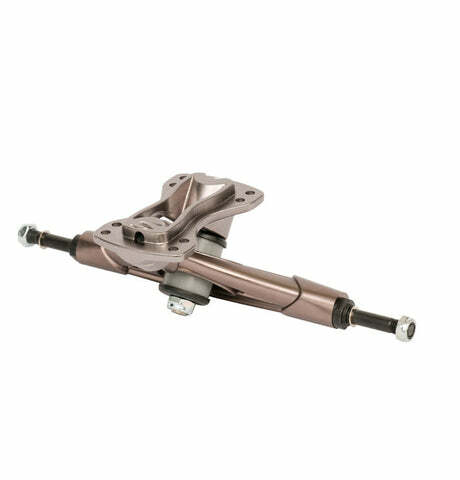 The kingpin is now much stronger and easier to replace with any 3/8ths UNC bolt should you desire. 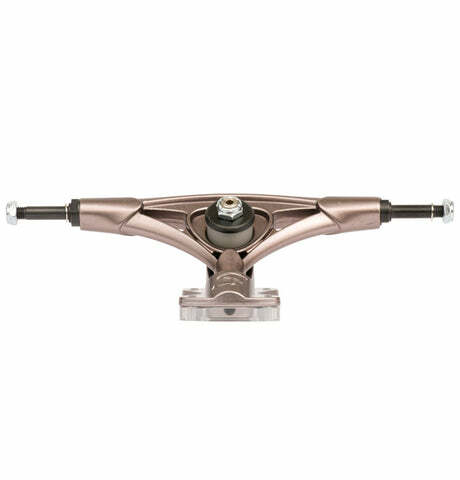 These are the fastest longboard trucks in the world. Current Guinness World Record holder Pete Connolly had a pair of pre-production Forged Precision Race Trucks under his feet when he smashed through to 91.17mph in 2017. 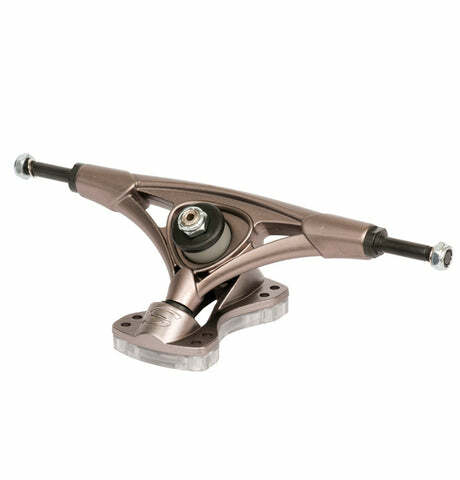 Packed with many of the same features as it’s predecessor, the Forged Race Trucks are super light and now even more durable. 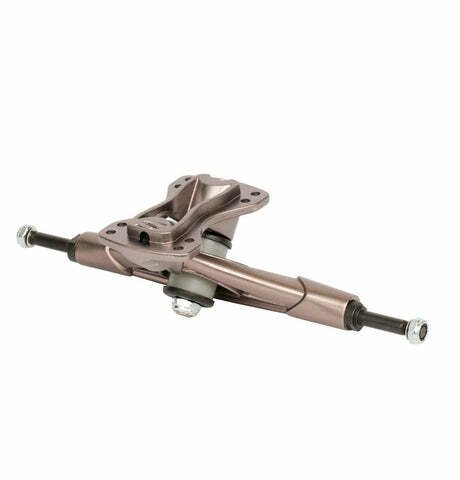 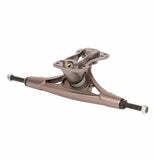 With an open bushing seat, raked hanger and drop-up baseplate option, these trucks are the result of many hours of skating and engineering. 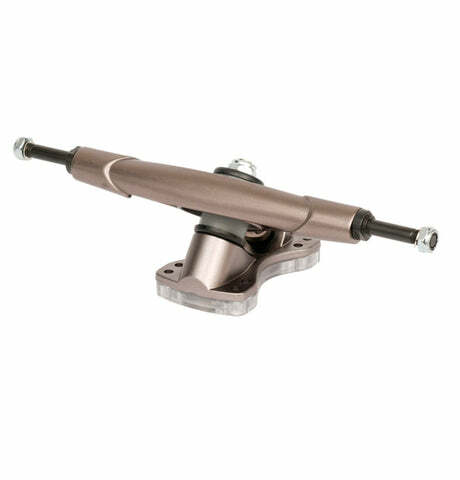 Assembled in the UK with a Sabre H-Type Speed Bushing Kit. 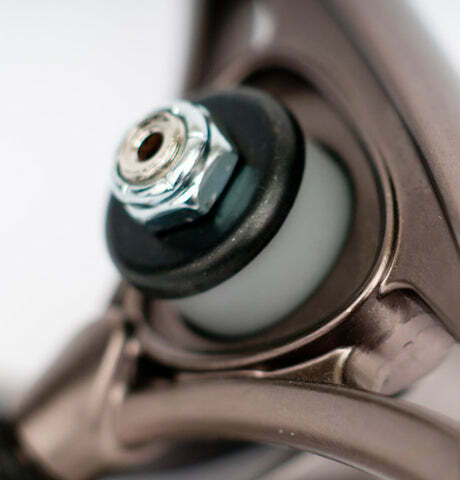 16mm tall double barrel bushings, poured from our premium aftermarket formula. 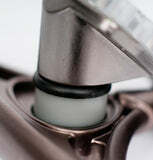 Thick cup washers for maximum control and rebound. 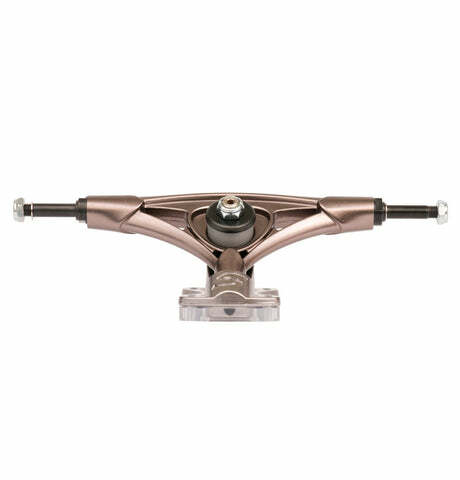 Low, light, strong and fast – if you want the next generation of race-winning trucks, look no further.